There seem to be a few things that the fakers get wrong frequently (although don’t bank on it). 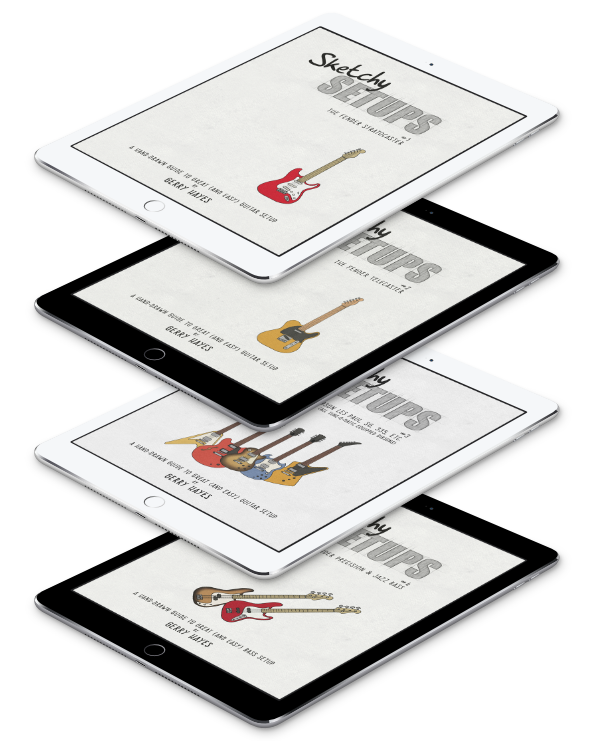 The truss rod cover should be bell-shaped and have two screws – NOT three. The Les Paul script should always be in cursive. A vertical ‘Gibson’ on the truss-rod cover is a bad sign. Check that the pickup cavity is not painted black inside – if it is it could be a fake. Check the routing of the pickup and control cavities – it should be neat and tidy. Ditto the wiring – make sure it’s tidy and well executed. If the wiring is insulated with plastic, it’s possibly dodgy – Gibson use cloth covered wiring and braided shielding. Ensure it comes with a Gibson Owner’s Manual and Gibson Warranty Card. Pay close attention the the headstock and logo. Ensure it comes with a Gibson hard-case – fakes often don’t come with cases or with generic ones. If it’s noted as made in China or the far east, it’s not a Gibson. 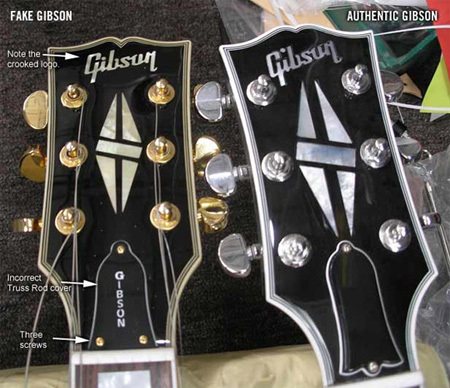 There are some images below to help you spot a fake Gibson. These came originally from Gibson themselves and they should be of use in determining authenticity.